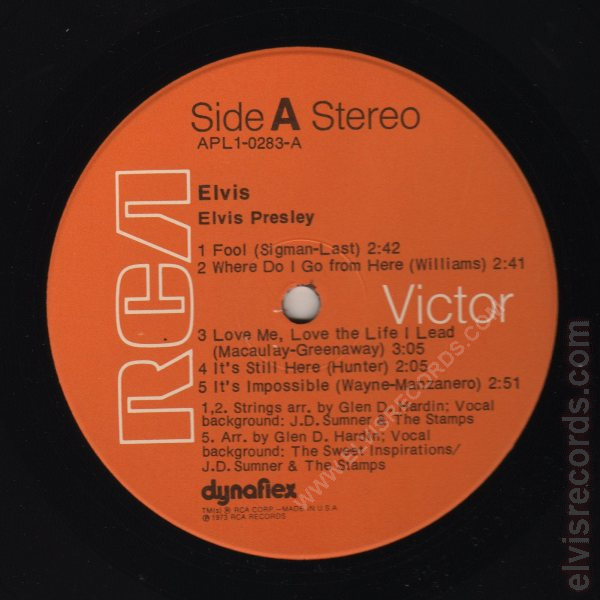 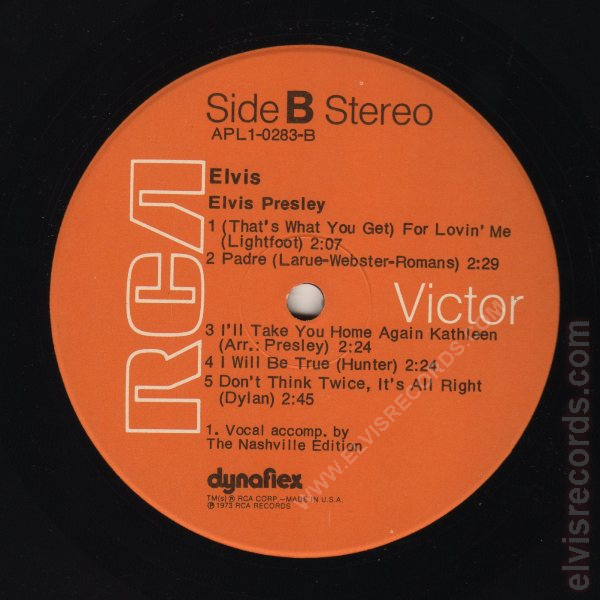 Aliases for this title include Fool, for the first track of side 1 or Elvis, Including Fool. Cover Front: RCA and catalog number bottom left corner. 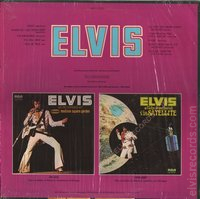 Cover Back: Catalog number upper center. 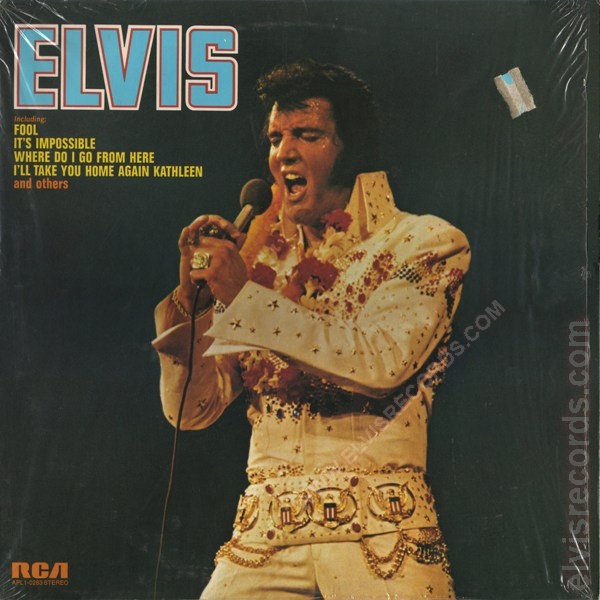 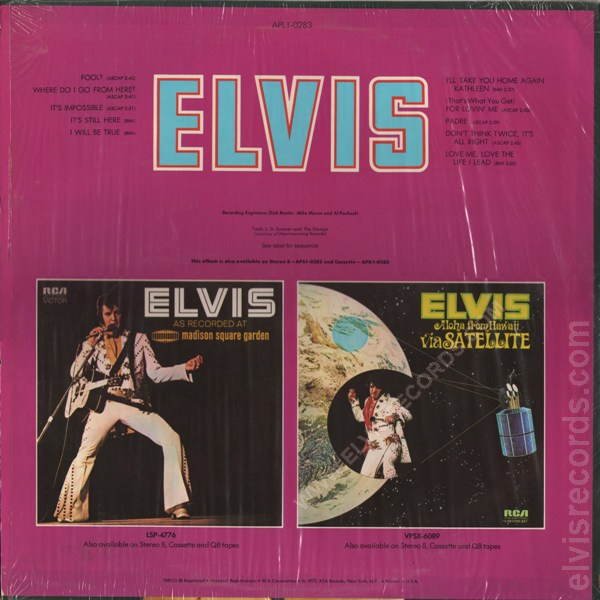 Pictures Elvis as Recorded at Madison Square Garden and Elvis Aloha from Hawaii via Satellite.